This is why it’s important to find a good coach. They can teach you the basic movements and drills which will someday let you do the amazing stunts that professionals do, and they can provide feedback and correct you when you make mistakes so you don’t hurt yourself. For example, my kong vault (dive over an obstacle hands and face first) was too short and I kept tripping and crashing. Thankfully, my friend (and parkour teacher) Marioni saw that it was because I lose momentum by slowing down to jump over the obstacle instead of running and diving forward using a “punch takeoff”. 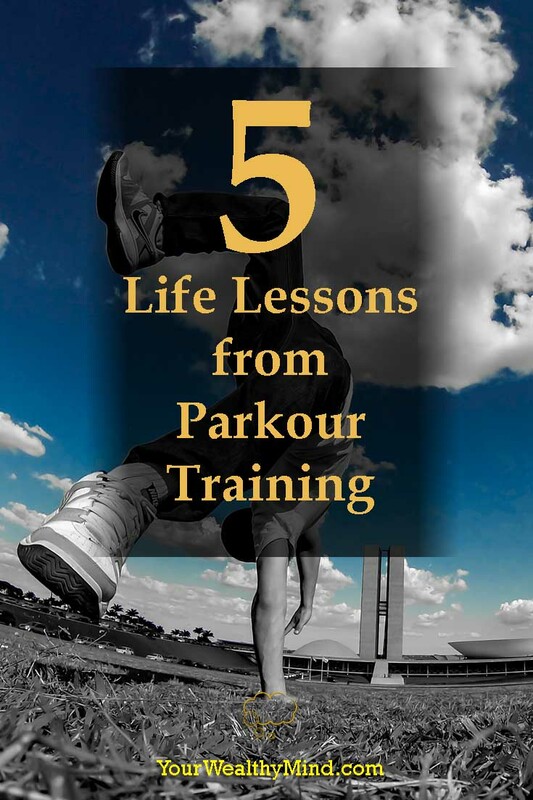 Now, parkour training is not the only place where a good coach would help. Whenever you want to learn something, you can avoid painful and costly trial and error by learning from professionals. Think about it. What if you could learn how Warren Buffett or Benjamin Graham invests in stocks? What if you could learn how to lead and manage a company like Jack Welch, the former CEO of G.E.? 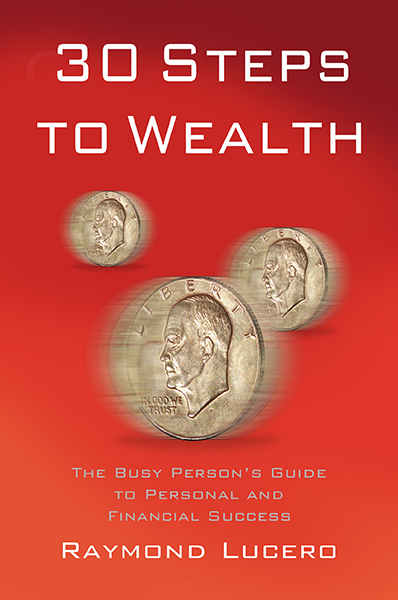 What if you could learn personal finance from people like Robert Kiyosaki, T. Harv Eker, and others like them? It’s all up to you. As they say, “if the student is ready, the teacher appears.” When you really want learn, that’s when you’ll find a good teacher. There’s a saying, “you need to learn how to walk before you can run.” Before you can do a sequence like a kong vault to triple backflips and front flip into a precision landing, you have to learn and master the basic movements first. You have to learn how to sprint, takeoff, dive, jump, and shift your body to control your momentum before you can do the sequence properly. Success and mastery can only be earned through time, dedication, and tons of practice. That applies to everything else in life, from building happy relationships to personal and financial success. Like what Leonardo Da Vinci said, “God gives us everything for the price of an effort.” Are you willing to pay that price? 3. You’ll fail… a LOT. There’s a saying, “every master was once a disaster.” Everyone is terrible at everything in the beginning, so don’t be embarrassed if you fail or trip during your first attempts. I remember kneeing myself on the lip while flipping from the trampoline and into the foam pit, vaulting and tripping before falling face first onto the floor (that happened a lot), and I also remember dive rolling once which injured my shoulder. There was also that time my friend jumped from a platform to climb onto a far wall, and when I followed him my jump was too weak, I missed the ledge and I slammed onto the wall at full speed. My friend also told me of that time when he crashed face first onto the floor so hard that he kicked the back of his head with his heels. Failure is a natural part of life, yet you shouldn’t let that fact stop you. You’ll miss jumps, you’ll slip, and you’ll get hurt often… You’ll miss promotions, you’ll lose clients, and you can even lose a business, but it’ll be fine. You can try again and again until you finally succeed. One of my friends who joined our last training session already knew the basics of parkour, but for some reason he couldn’t do well that day. Every time he would run to try a vault or flip from a trampoline, he’d freeze up and stop or even crash at the last second. That happens to the best of us. In my case, it’s the reason why I haven’t tried back and front flips on concrete yet, and why I’m still hesitant with jumping into deep water (I haven’t mastered swimming). Fear is there to keep us away from things that can hurt or kill us. JUST RUN AND DO IT! Stop thinking about anything and RUN, like you’re jumping into a shallow swimming pool. When you’re no longer thinking or worrying, you’ll be able to perform with full force AND SKILL. Fear can’t tie you up when you’re fully focused, and that will also increase your chances of success. Do it a few more times and you’ll find the fear vanishing. THAT’s when you can focus on improving and learning the skill. Another trick I use is that when I’m having doubts, I might as well aim for the funniest failure (remember: safety first!). After a dozen failed attempts, there will be some improvement and I’ll likely succeed a couple of times. You can try that yourself. Just go for the fun of it, and eventually you’ll somehow succeed. The boost of confidence that first success brings is amazing. By the way, don’t think that parkour training is the only time where hesitation causes failure. Suzy Kassem said that “doubt kills more dreams than failure ever did.” You’ve probably tried to learn something new like a new sport, starting better habits, giving speeches, personal finance, or anything else. You’ve read the books, watched instructional videos, and attended training seminars, but you’re just hesitant to try because you’re afraid of failure. If it’s something you need to do to become successful, do not hesitate! Just run to it and do your best. That improves your chances of winning. If you fail and have a near-traumatic experience, that’s the time to immediately try again. Do NOT let the fear sink in and become a permanent mental block. When the activity is still safe and you’re not injured, just do it again. Try it a dozen times for good measure. A strained leg muscle heals in a week, but fear and doubt can haunt you for the rest of your life. Remember that almost every new experience or activity is scary at first, but as you kept practicing it soon becomes normal (yes, triple backflips and somersaults can become “normal” and even “easy” with enough practice). Can you remember the first time you rode a bike? The first time you spoke in front of the class? The first time you went swimming? The first time you drove a car? Your first day at school or at work? You were likely scared, worried, and you might have made mistakes, but as you kept trying that’s when you got good. When you fail or when you get hurt, don’t let the fear or embarrassment sink in. Just do it again, do better, and soon enough you’ll BE better. It’s amazing what you can learn about yourself from a few hours of parkour training and a little self-reflection. Are you willing to step out of your comfort zone and learn a new skill? Are you willing to persevere despite repeated failure, pain, and fatigue? Are you willing to face your fears head on and keep trying until you succeed? Take the time to train, and you’ll know exactly what you’re made of… and how to make yourself better. That was a great post Ray! Should be very inspiring to anybody who reads that. Haha! Thank you Alex! Yeah, parkour can be (and, by experience, IS) painful, but we do it because it’s fun. It’s one of those sports or hobbies where you can challenge yourself to do better. I recommend against trying it without regard to safety though. You have to learn and master the skills first before you try it on more difficult and dangerous terrain.